Call 717-641-7279 to schedule your first appointment. Are you aware that your feelings of depression, anxiety, or even isolation might be because you’re struggling to hear or understand others? At Miracle-Ear®, we know that more than 36 million people in the U.S. are also dealing with some degree of hearing loss*, so you’re not alone. We want to be the ones to help you find your way to better hearing with our comfortable hearing aids in Akron, PA. With our custom-designed products, you’ll notice clear sounds and less feedback noise. When you’re ready to discover and experience the Miracle-Ear advantage, you can come to one of our more than 1300 locations nationwide. You’ll receive premium service every step of the way, and our experienced Hearing Care Specialists will conduct a free hearing test** before telling you about the advancements included in our GENIUS™ Technology. Since we’re the brand Americans trust for their hearing solutions, we have a number of styles and fits to choose from. Do you think you might be one of the nine out of ten with hearing loss who could benefit from hearing aids? Come find out at your local Miracle-Ear hearing aid center. Our goal will be to improve your hearing, and for your benefit, we also offer free cleanings, repairs, and adjustments. If you live in Akron, Ephrata, Martindale, Talmage, Brownstown, or Leola, we’ll be here to help. You’ll be able to test out our hearing aids during a 30-day, risk-free trial. Contact us today to schedule an appointment. In 1988, I joined the Miracle-Ear family and have been providing care for patients in Central Pennsylvania ever since. I have been the proud franchise owner of the Lancaster County Miracle-Ear Centers since 1995. I've grown the practice over the years and now have 3 professional centers in Lancaster, Akron, and Willow Street. We continue to hold the Better Business Bureau A+ Rating and for that, I am very proud. I've dedicated the last 30 years of my life to serving the hearing impaired and finding the best team of compassionate, knowledgeable, and hard working professionals to help me do that. It is our mission to help people reconnect with their family and friends through better hearing - we truly bring light into lives that have been dimmed by hearing loss and we do it well. I am a licensed Hearing Instrument Specialist in the State of Pennsylvania. In addition, I am a certified Audioprosthologist and I hold my National Board Certification in Hearing Instrument Sciences and I am both a member of the International Hearing Society and Pennsylvania Hearing Aid Alliance. I have been through extensive training with Miracle-Ear, have received my Miracle-Ear Professional Certification, am trained in Live Speech Mapping, Real Ear Measurement, deep canal impressions, and am proficient with all audiometric equipment to service your needs. I assure you that we will be here to take care of you, whatever your hearing needs may be, for a long time to come. As Kenneth Dahlberg, the founder of Miracle-Ear said, Everyone knows someone with a hearing loss. If you have friends or family who could use our help, please send them to us. We will take good care of them. 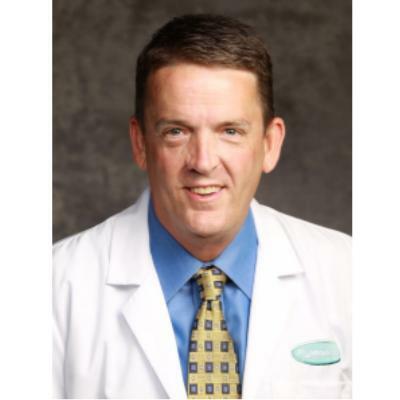 Jay Slembarski brings more than 20 years of experience to each consultation with his patients and he has both the expertise and experience to benefit each person he works with. While experience is a vital part of his effectiveness, his ability to connect and develop a relationship with his patients is clearly an advantage in helping solve the complex needs of each individual. Jay is a licensed Hearing Instrument Specialist in the State of Pennsylvania. In addition, he holds his National Board Certification in Hearing Instrument Sciences and is a member of the International Hearing Society. 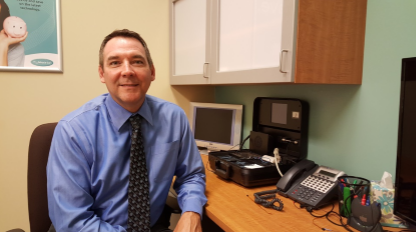 Jay has been through extensive training with Miracle-Ear, has received his Miracle-Ear Professional Certification, is trained in Live Speech Mapping, Real Ear Measurement, deep canal impressions, and is proficient with all audiometric equipment to service your needs. He enjoys helping people enrich their lives thru better hearing. For Jay, this position is not just a job - he truly makes every patient feel like a part of his family. Your local Lancaster County Miracle-Ear business owner and staff have made a commitment to support The Miracle-Ear Foundation. Established in 1990, the Miracle-Ear Foundation was created to enhance the life experiences of families and individuals of limited means through the gift of sound. To date, the Miracle-Ear Foundation working with Miracle-Ear centers across the country has donated more than 6,500 hearing aids to over 4,100 individuals nationwide. Miracle-Ear of Lancaster, PA works together with the Miracle-Ear Foundation to provide underprivileged children and adults hearing instruments. For every hearing aid purchased in Lancaster, a donation is made to the Miracle-Ear Foundation. We're proud to support better hearing in our community. The service I had was great and the people were great to work with me on my hearing needs. A big thank you to Patrick & his team! Miracle-Ear has been great. I have been very happy with my hearing aids and everyone has been great to work with and have been very helpful. Very satisfied customer! I was amazed at the comfort of the open-ear hearing aid. Patrick and his team introduced us to an affordable plan, and my husband and I are both glad we said yes. I love this type of hearing aid! There are not enough words to convey my feelings. It has changed my life so much. I have been working with the Miracle-Ear team for ten years and I am very satisfied. I now enjoy sounds I’ve never heard before, and I have the ability to adjust my hearing aids for different uses. The whole experience- from the hearing test, detailed explanations, fitting and follow-up service- were very satisfying! I value Miracle-Ear’s desire to do what they can to improve my hearing in various situations. I am so happy they introduced me to the open-ear hearing aid. It is a marvelous instrument! Patrick and his team treat you like family, they’ve put the “customer” back into customer service! My hearing has been restored to normal. My ears are all but invisible and without feeling that they are even there. All services have been handled pleasantly in a friendly way by all Miracle-Ear personnel. Now birds actually sing and floors do squeak! I now even hear my granddaughter’s tiny voicing saying, “I love you, Pop-Pop! I can hear! I can hear the birds and my grandchildren, and my hearing aids are very comfortable! I am very impressed with my hearing aids. The office staff was very helpful and friendly. Now I can turn the radio & TV down to a volume that even my husband can barely hear! My visit to Miracle-Ear was quite pleasant, both in service and staff. † If you are not completely satisfied, the aids may be returned for a full refund within 30 days of the completion of fitting, in satisfactory condition. Fitting fees may apply, as prescribed by state law. See store for details.